It is no secret that I am a huge lover of all things HomeGoods. I pop in about once a week or two, sometimes just to walk around and take in all of the goodness. If I am knee deep in a project or a styling post I can be found there at least once a day, sometimes more. 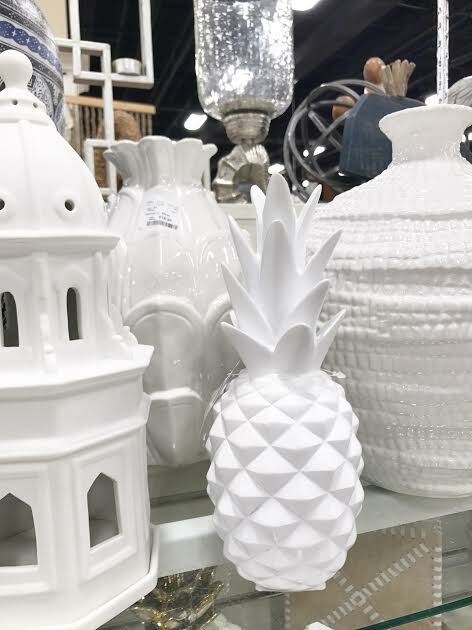 HomeGoods is my favorite source for so many different items, it is truly the best location for all things home related. Sometimes it can be a treasure hunt ... and sometimes you truly hit pay dirt and find something you want or need at a fraction of the cost you had originally intended to spend. 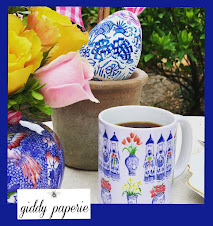 Our home is filled with all kinds of HomeGoods happiness as I tend to find some fun pieces. Since I visit quite a bit I have the opportunity to find some fabulous things. 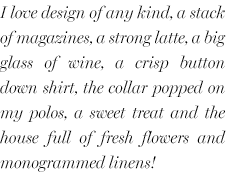 I have learned how to shop the aisles over the years and in that time I have gathered quite a few things. 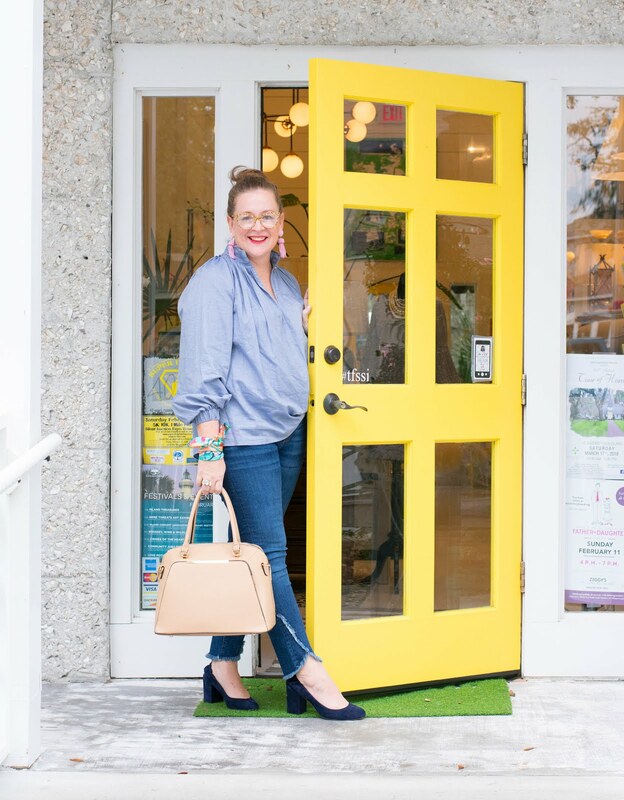 If I need something for a space I head to HomeGoods, I need a fun gift quick I head to HomeGoods and most importantly if I am styling a space HomeGoods is my first stop. Without a doubt it can be said ... I heart HomeGoods! Earlier this week I popped into my favorite location and walked around just to take pictures and share with you how I walk the store. I have specific areas I visit and definitely certain things I shop for and others I skip. Since I get a lot of emails and questions about how I find fabulous things at the store I thought this was the perfect idea for a post. 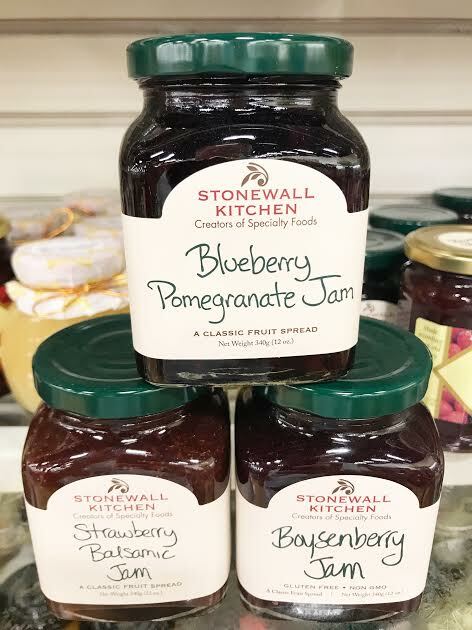 One of my favorite things to grab is pantry items. 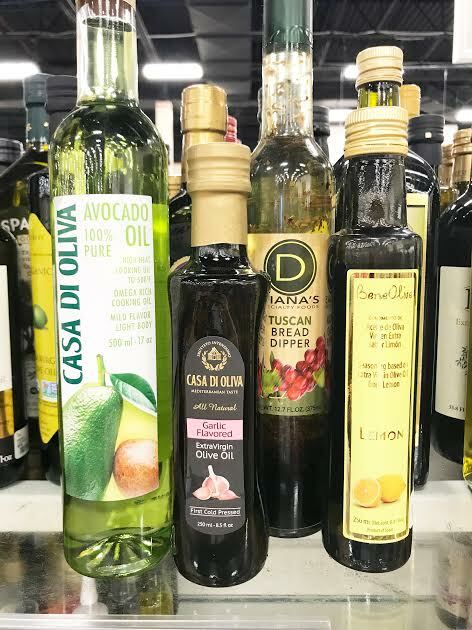 They have the best collection of fun oils and dipping sauces along with vinegars, jams and jellies. I find the most fun sodas for barcarts and jellies for styling. 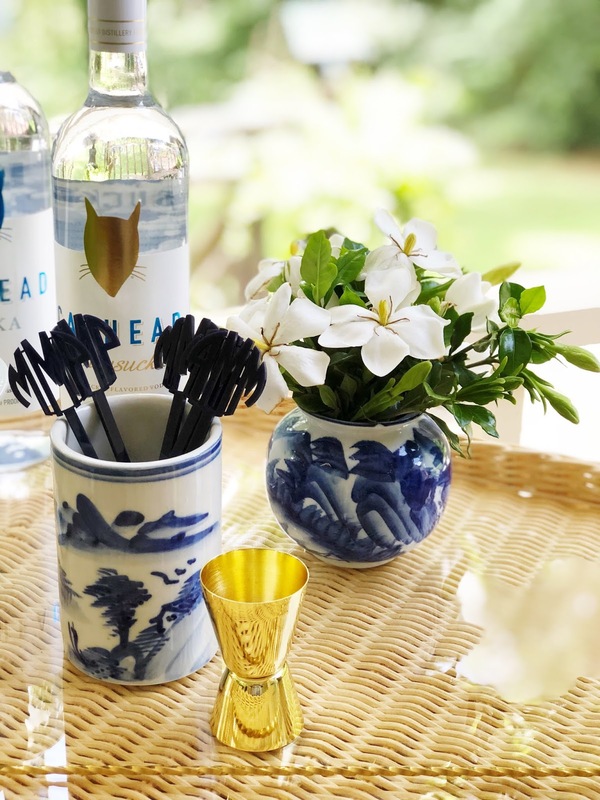 The prices are amazing and the bottles are quite often so fun. I always grab rootbeer when I see it, the kids love it and it is a great no caffeine alternative for parties and large gatherings. Plus, who doesn't love a bottled soda. 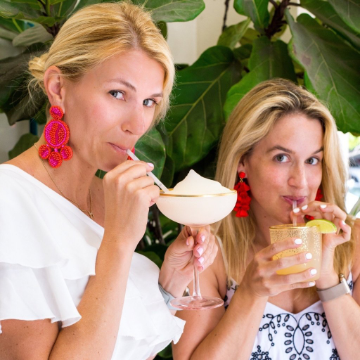 They are so fun to pop into a pitcher of ice and to serve with paper straws! I always check expiration dates for pantry items and have never found one out of date. All of these items were good until 2019. 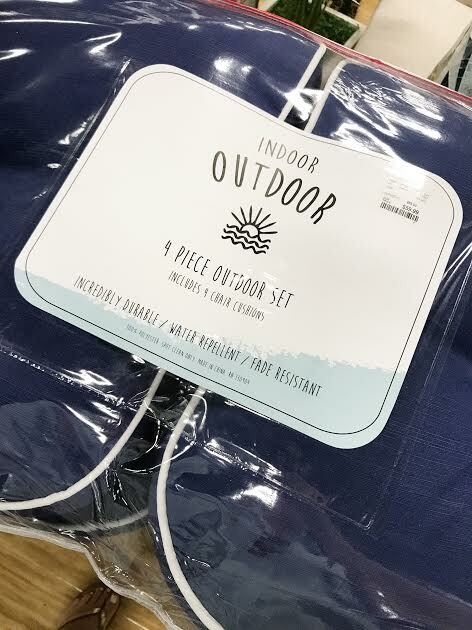 This time of year is ideal for stocking up on melamine plates and outdoor cushions. The prices could not be better and the selection is like no other. 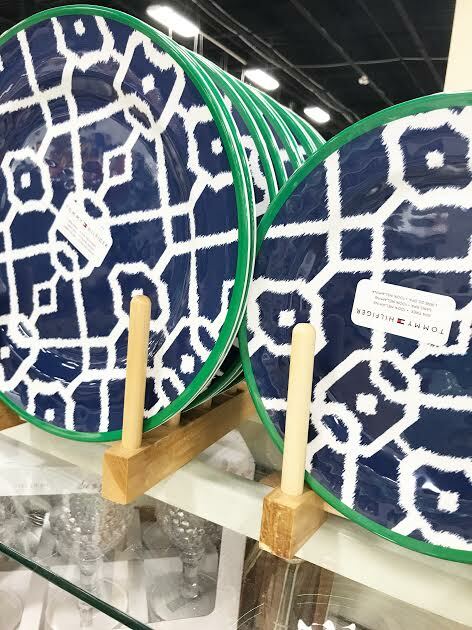 We use melamine plates like its our full time job so I am constantly looking for a plate that is not only cute but will hold up with our crazy crew. I didn't add to our collection this year but I did find these adorable patterns that I would have easily snagged. 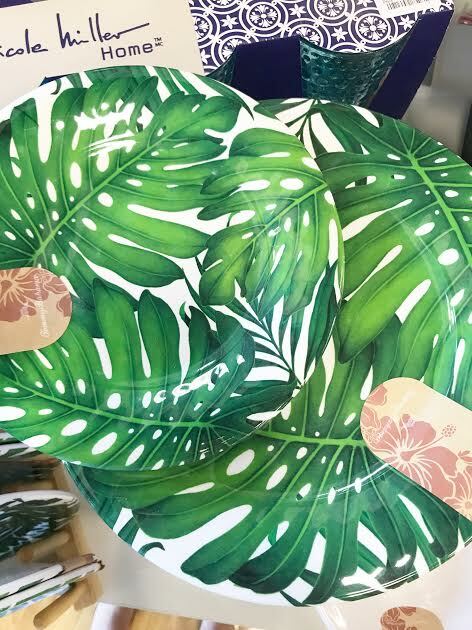 Those palm leaf plates were so darling. When I cleaned our porch this week I was unsure I would be able to save our cushions as they were super dirty and gross. Luckily ours came clean, even more than I expected but I had a plan B already to go if ours didn't clean. 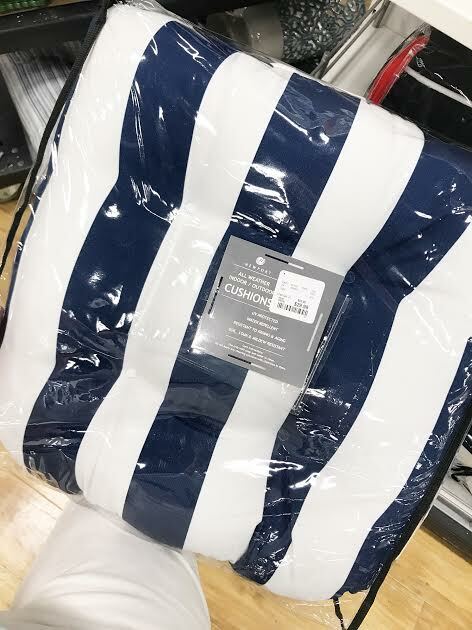 These amazing navy and white ones would have been perfect for our chairs and porch pieces. I have my eye on the solid navy ones for our chairs at the table and quite possibly might snag those. 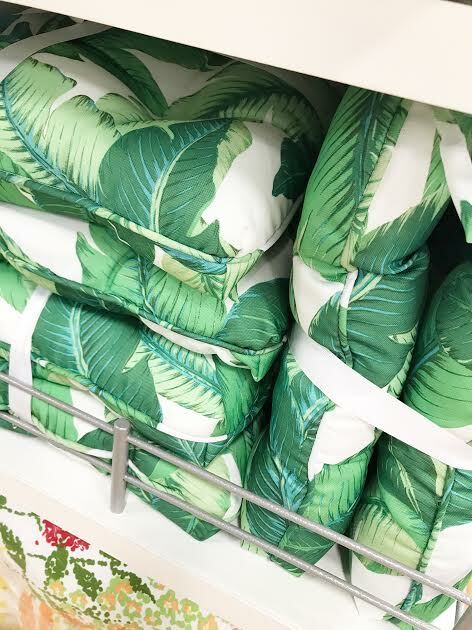 They had such great options ... tons of navy, turquoise and green ones and even some darling palm leaf pillows that would be beyond cute to add in to our sofa area. Aren't they fabulous. The prices truly were so much cheaper than the custom route. 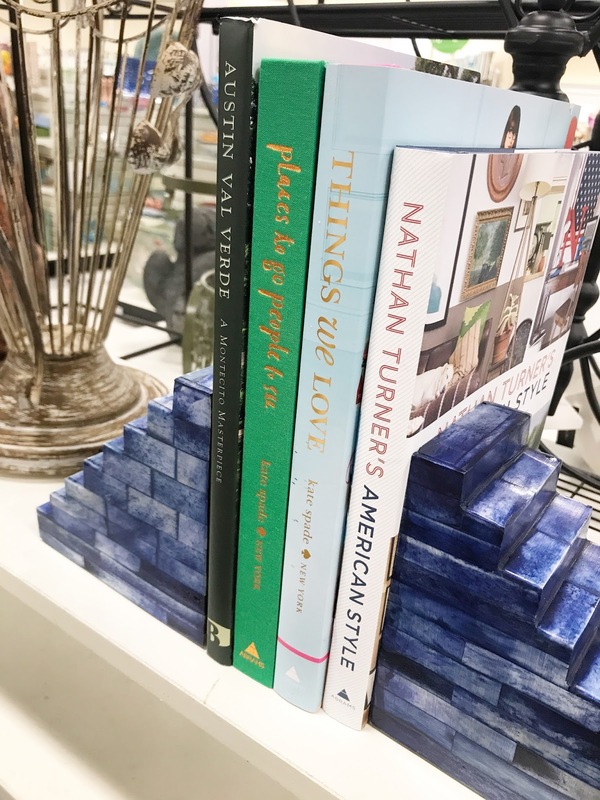 Books are one of my favorite things to hunt for, I have found some fabulous titles to gift to others and to add to my ever growing collection. These are the ones I found while I was walking the aisles this week. I have all three of these books, but how fun would they be to give as a birthday happy? They are all amazing titles and were priced to make them a true steal. In the past I have found books on Audrey Hepburn, travel, amazing cocktail books and even a Slim Aarons book. I even found the same Slim Aarons book twice. Not all of the locations seem to carry books, but I know which ones do in my area and those are the ones I shop. 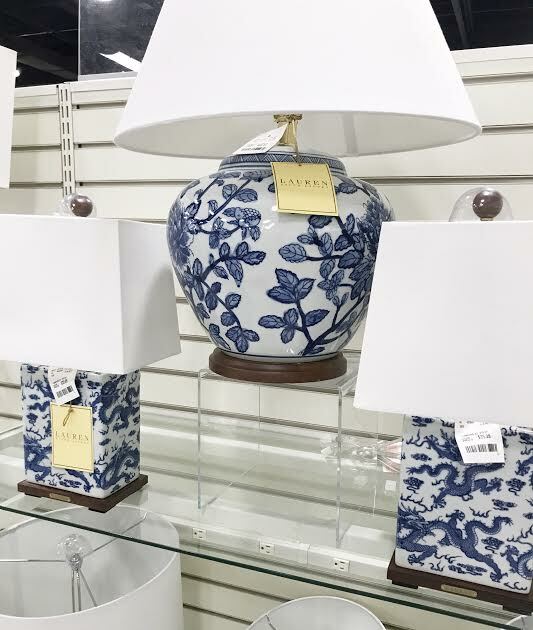 HomeGoods is truly a home store and they are stocked full of rows and rows of amazing things for your home. 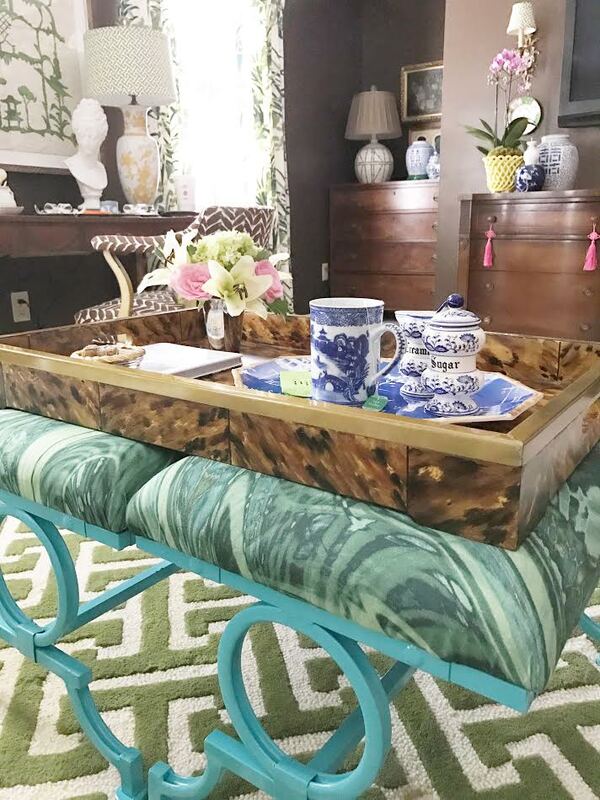 My favorite aisles to peruse are the ones with fun items for book shelves and coffee table styling. I have found so many fun trays, jars, bowls and the like for both our home and for gifts. 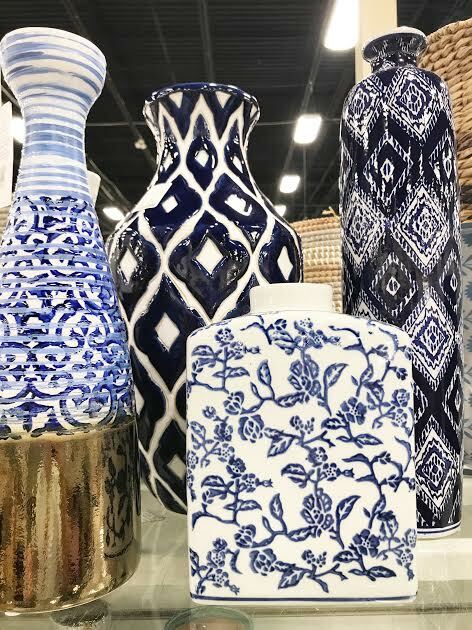 At the moment the store is stocked with tons of white, gold and blue and white porcelain. The images above are just a few things I found and pulled together. The selection was incredible. Lamps and mirrors are one of my major scores. 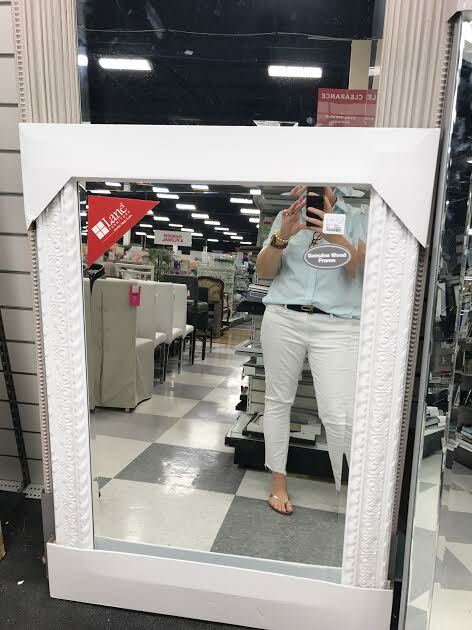 If I need a mirror this is the first place I look. 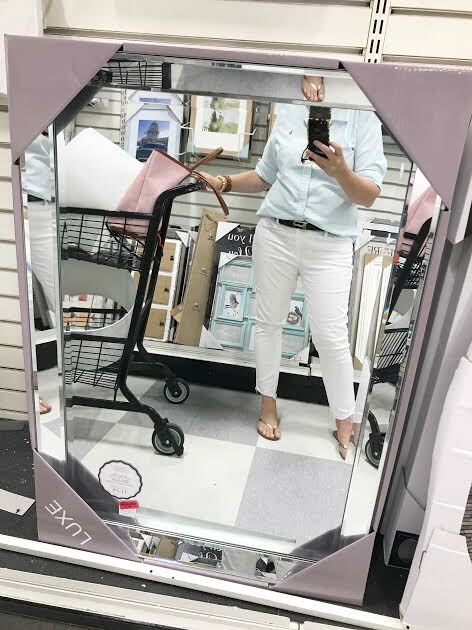 With the exception of the vintage pieces we own, every single mirror in my home came from HomeGoods. All the bathroom mirrors (except the vintage one in the half bath) was found at one or more locations.. Sometimes it takes me a few locations to find what I need but the prices are always worth the hunt! 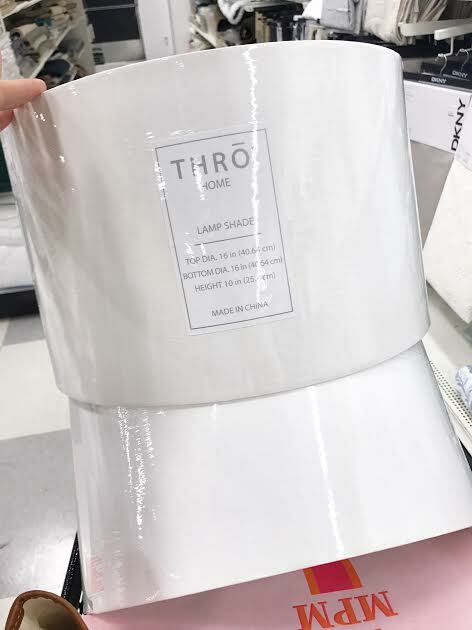 In addition to lamps I find all my drum shades on the end aisle at HomeGoods. I have a bunch of fabric covered shades in our house and I make them for others and I source all my shades here. 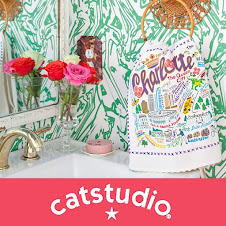 For under $20 I can find fabulous white drum shades ready to be dressed in fun fabrics. As you can see I snagged a pair this week to use for the porch. The shades we had on the porch just couldn't be saved and so I am ready to cover this set with some of the left over cabana stripe fabric. It will be so nice to have shades made with fabric that I can clean when the inevitable dust arrives. 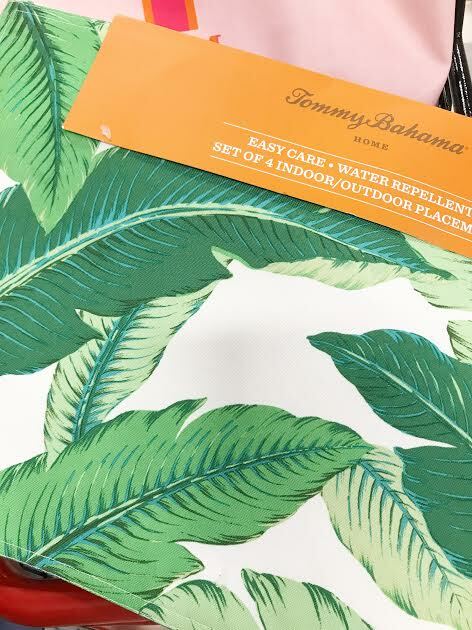 I am happy to write more posts on HomeGoods to share more of my favorite finds with you, maybe we should make it a regular thing. Let me know your thoughts!! As you can see it truly is my favorite store for so many reasons. As a tip I will tell you if you can make it work shop mid day on any day other than the weekend or Monday as they have the best selection when they aren't the busiest. I love a good Tuesday or Wednesday 11 am pop in, I have found that is the best for finding the most amazing pieces. Wow! What an amazing selection. I would love more HomeGoods posts! Thanks for sharing. It should be a crime as our Home Goods is within "walking" distance!!! And, I have half a dozen more within 15 miles!! Love, love, love browsing there. 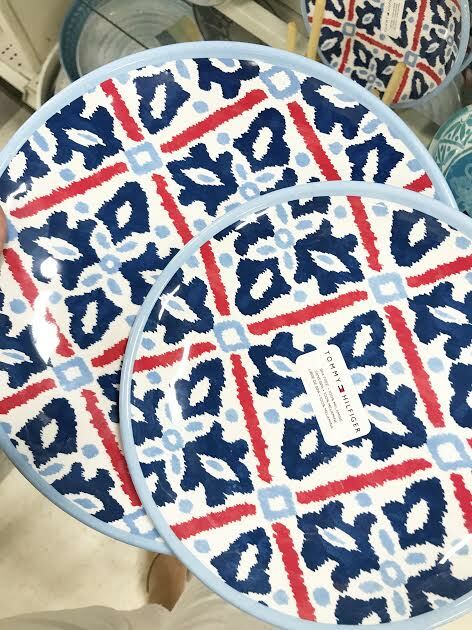 Great HomeGoods finds! I have two in my area but love to stalk out new HomeGoods when I am traveling. 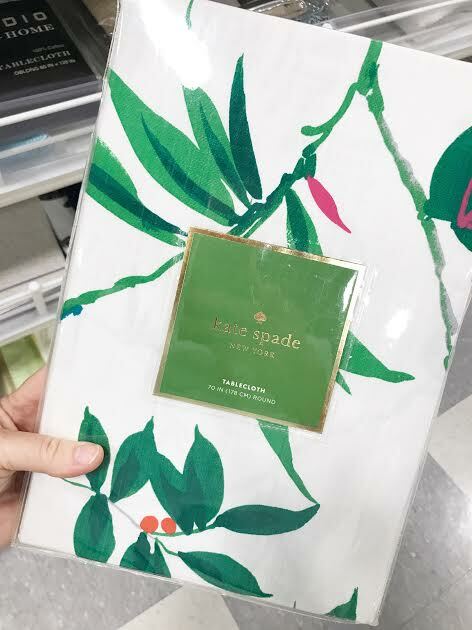 My two favorite recent HomeGoods finds are a bright orange Pagoda lantern and Kate Spade flamingo placemats. I have those napkins and I love them so much! That lantern sounds amazing!! I love HomeGoods! The first New Orleans one opened last year and I was thrilled! Your blog is perfection and I enjoy it so much! Just curious...will you be posting anything about summer handbags? I would love some ideas! Thank you! 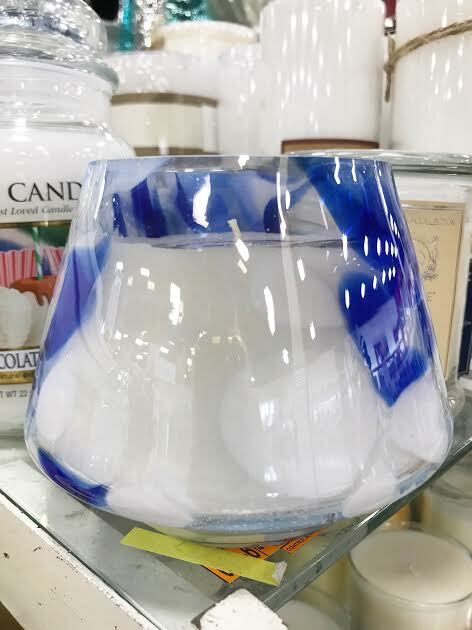 Hi--I live in Atlanta and the Home Goods near me never has anything as good as you posted. 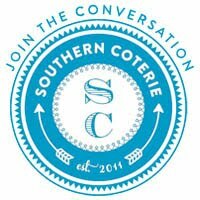 Which Home Goods do you go to in ATL? Thanks! I love quite a few!!! The one at Perimeter is fabulous as well as the one at Northpoint. Two of my favorites!! Thanks so much! Love, love, love your blog! I love HomeGoods! There are two near me on the North Shore of Chicago and I'm never disappointed. Recently, I bought two fabulous Simon Blake Interiors lamps and a side table for next to nothing and they are perfect in my newly refurbished family room. Yes please!! Regular Home Goods posts would be fabulous!! You always find great items!! Love your blog and how you "keep it real!!!" Love, love, love this post! I have a TJ Maxx right near my house and my husband knows when I "take the baby for a walk "it means we are going there. 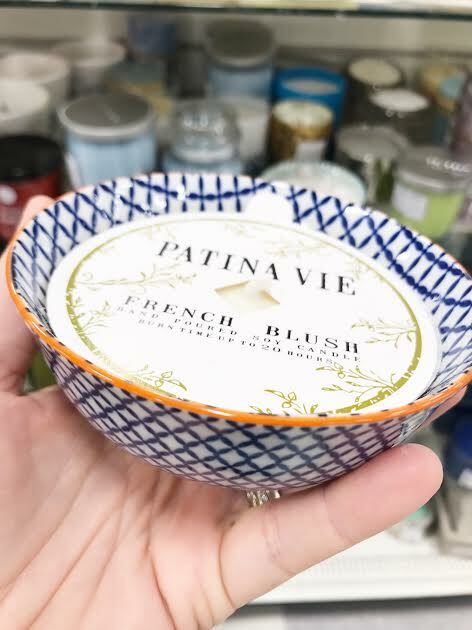 It's a really small one and I wish it was a home goods. This post really got the juices flowing – more, more! Spent time at Home Goods this afternoon. I, too, love this store! Great post! A Box Fit For A Mrs.